Having an insurance cover cancelled, rejected or refused makes it very hard for one to get another insurance cover. But currently, things have changed and some companies can give you another cover without putting much emphasis on the reason of cancellation. The reasons could be partial disclosure of material facts, claims history, or refusal at renewal. Actually, there is a company that provides this service online which makes it very easy for anyone who has had their cover refused or cancelled, and needs another cover. This service makes things simple and quick because within minutes, you can get insurance for your home. The main objective for such companies is to offer covers for those who have had their insurance denied or cancelled in the past. Mostly, people have their insurance cancelled out of bad luck, which makes most home insurance companies superstitious that the same thing might happen if they offer you another cover. However, the companies that offer these services believe policies are cancelled out of misfortune, and in believing that there is a better future for their clients, provide the necessary services. An insurance refusal is where an insurance company decides to cancel your policy or refuses to renew it, or even denies your claim. This could be because of many different reasons which may include your adverse claim history, non disclosure of some material facts and many others. But a mere refusal at the beginning of the application does not comprise of a refusal. This is not a material fact that requires to be disclosed. 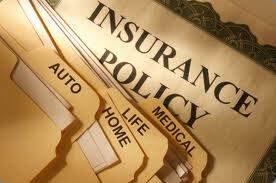 Different insurance companies may fail to you give cover due to your situations. But there are companies that are ready to offer covers to all who need home insurance in whatever situation they are, not only for those whose insurance has been rejected. Situations that may make other insurers fear to insure you are also taken care of. Some of the fears may be unspent criminal conviction, health problems or unpleasant claims history. These companies are ready to give cover to all who need it. Every material fact needed should be disclosed to your insurance company, failure to do this may have some undesired consequences like having your cover cancelled or denied. Fear of disclosing some material facts to your insurer thinking that when you disclose you will be refused a home insurance or have it cancelled, can land you into more trouble than you think hence you should know about the consequences of this. Not disclosing a material fact may make your policy invalid which means that if you make any claims they will not be paid which is a waste of your money. Not stating material facts willingly can make an insurer sue you in a court of law as it is termed as fraud. Also having lied in the first place you have to keep up with that lie even during claim which in most times doesn’t hold and can make you lose since you will not be compensated in case of a loss. PPI claims management companies have made billions of pounds filing PPI claims on behalf of clients who request their services. Claims management companies or CMC’s are reported to be charging clients as much as 25% of the total PPI refund plus VAT in “no win no fee” claims processes when clients can actually complete these procedures without their help. Is it possible to file your PPI compensation claim on your own without any financial background so as to avoid the exorbitant costs? The answer to this question is a resounding yes. Fortunately, you do not need any financial expertise to file your PPI claims with any bank. 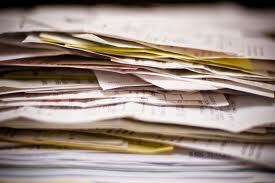 You simply need the right kind of documents and a little time to organize your paperwork and pursue your claims. A simple guide on how to pursue your PPI claims can help you in going through this process without any difficulty thus ensuring you pocket your full PPI refunds. The first thing you need to consider when planning your PPI claims process is whether you are eligible in the first place. Payment Protection Insurance was introduced by banks as a measure for consumers to protect their loans or credit card repayments but they were largely mis-sold and many clients had been paying up PPI even without their knowledge. It is possible for you to file PPI claims for loans or repayments dating back to 1990 if you can produce the paperwork. But not everyone is eligible. To determine your eligibility, you can access you credit card reports or sales records from the bank dating back 6 years. You can also look through your paperwork over the years to determine if there was any mention of a protection plan for your loans. Banks used varied terms to refer to your PPI so you may need to do a little research which can take you few hours to determine your eligibility for PPI claims. A good site where you can get a great guide on filing for your PPI on your own is MoneySavingExpert.com. 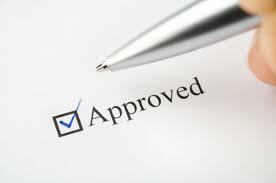 You can also contact the lender to determine whether you qualify for PPI compensation. Once you have your paperwork in order, you can then download the Ombudsman form and start filing for your PPI compensation claims. If you do have difficulty in understanding the terms in the form, you can call the Ombudsman’s office to seek some clarifications. After filling out the claims form, you can send it directly to your bank. In the event that the bank has declined your PPI compensation claim, you can then approach the Ombudsman’s office for help. 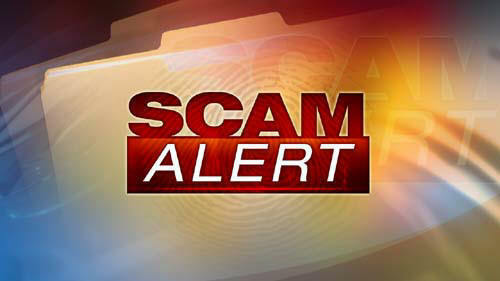 It is important to be wary of PPI scams when you are in the process of making your PPI claims. PPI is payment protection insurance and is available in most lending institutions. Some people know how beneficial this is and have actually bought this policy. Sadly, there are numerous people that have this policy as a result of misinformation. If you need proper guidance in buying PPI, you should find a company that has all the relevant details that will ensure that you are not fleeced. For starters, you need to note that you do not have to take up the policy when applying for a particular loan. This is optional and not mandatory as some lenders make people believe. There are some companies that offer it as a package together with the loan. Some will even offer cheaper loan repayments rates if you buy their PPI. However, what they will not tell Is that the charges for PPI policy is quite exorbitant. You should take your time to look around for a great deal. If possible, you should find an independent PPI company so that you are not bound in any way. There are advisors that will guide you through the process of buying PPI without any problem. You should always check at the fine print that has terms and conditions in your policy so as to ensure that you are aware of all the clauses therein. If you are a victim of any of these cases, you should talk to experts in making PPI claims. You will be assisted in the whole process of reclaiming your PPI contributions from your policy provider. This will be done in the most professional way and you will only pay the required fees once the reclamation is successful. Most people who have been victims of mis-sold PPI know how frustrating the process of reclaiming PPI can be. This is why the best option to take when it comes to PPI claims is using a professional company. A mis-sold PPI happens in many instances. For instance, if you did not consent to having a PPI policy or you did not get the full information regarding the policy, then it qualifies as being mis-sold. In addition to this, there are some lending institutions who mislead the borrowers into believing that PPI is compulsory as part of the borrowing package. This is also considered to be mis-sold and you are entitled to a refund. As soon as you realize that you have grounds to make a claim, you should find a way of getting your money back. Unfortunately, most the lending institutions will try to frustrate anyone who intends to make claims individually. In the first place, they were trying to rip you off and therefore you should not expect the claims to be easy. The best solution is to contact a claims management company and get professional assistance. If you do not have any money, you do not have to worry since you do not pay any upfront fees with most reputable claims management companies. As soon as you file your case with a claims management company, you are assigned to a professional who will take you through the whole process and explain all the possibilities of your case. You will not be forced into any decision and the company will only act on your consent. You will be required to furnish the company with all the records and the information regarding your PPI policy. This will make it easy for the experts to handle your claims swiftly. PPI reclaiming is a process that is tedious and takes quite some time depending on the complexity of the case. Even after the complaint is successful, you should exercise some level of patience since it might take some time before the bank actually pays. There are so many people who are stuck with mis-sold PPI and do not know whom to turn to for assistance. You should not be stressed over your mis-sold PPI because you can get a full refund. It is estimated that as far back as 1990, banks were involved in the mis-selling of Private Protection Insurance or PPI to their clients. So what reasons led to this unethical practice which is now regarded as UK’s largest protection racket perpetrated not by the mafia but by some of the country’s most respected financial institutions? PPI was meant to cover clients’ payment for loans or credit cards in the event that those clients were unable to pay them in the future due to factors such as unemployment, accident or sickness that leads to the loss of income. In order to accomplish this goal, the financial institutions used their sales staff as well as third party agents and representatives to sell these services to clients. These salespeople were under lot of pressure to sell these products and earn some commissions and many of them lied or twisted the truth to sell these insurance products quickly. As a result, many consumers ended up paying for the PPI without clear understanding on what they were really paying for. One of the major reasons why PPI was mis-sold was that most borrowers thought that taking PPI was a pre-requisite for taking loans. Many insurance representatives misled unsuspecting borrowers into thinking they would only get approved for bank loans if they bought the PPI. Many clients were unaware that PPI was actually an optional policy that they could choose to ignore. This led to a large number of people taking PPI in the belief that it was a mandatory requirement. There are numerous cases of clients who found themselves paying for PPI without having opted in for the program. In such instances, the PPI was most probably added without the client’s knowledge or consent. This could happen in cases where the third parties hired by banks were involved in the process of getting you to sign up. Some representatives might have coerced people into taking PPI even if it was not right for them. Many representatives had an incentive in getting more clients to sign up for PPI. So it is possible they coerced customers who were clearly not suited to taking PPI into purchasing it, so as to maximize on their commissions. Many clients were not given enough details regarding the PPI they were purchasing. For example, many were not told that some interest would be paid on the PPI if they opted in. Many consumers were also unaware that their PPI would terminate before they had paid the full loans or credit. The world bore witness to the economic meltdown that has swept through the major business centers of the globe with the recent recession. One sector that has particularly suffered under the brunt of the financial devastation is the banking industry. In the face of the crisis, many banking institutions crumbled and ceased their operations -leaving behind a trail of enraged creditors, investors, and clients. On the other hand, those which managed to survive the onslaught were compelled to replace their breezy banking practices with more stringent and fiscally sound policies. In the wake of the recession, what awaits the banking industry? From Vietnam to London, the business districts are buzzing with energy as businesses try to recuperate from the blows of the crisis and recover their losses. Banks are striving to assuage their financial setbacks, strengthen their operations, and establish a sense of stability. However, these undertakings only mark the beginning of what would be a long, challenging recovery process. In fact, new banking issues are emerging and posing additional hurdles for these banking institutions. 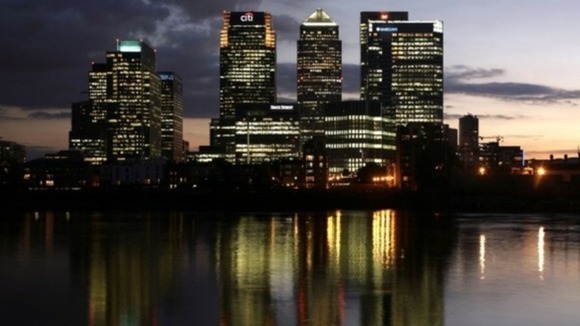 What are the latest banking problems and how can you protect your assets against them? Here are the essential bits of information that you need to know for safer and smarter banking. 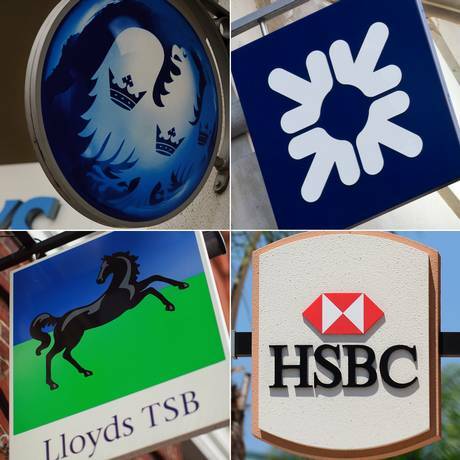 NatWest, Ulster, and the RBS – these are just some of the banking institutions which fell prey to the technical glitches which were either caused by a system crash or by hackers last year. As a consequence thereof, at least 17 million accounts got affected – sending many to the streets for failing to pay their monthly home payments and multitudes going hungry because they were unable to withdraw their wages coursed through their accounts. The technical issues that bogged down the banking system is, particularly, alarming when we take into account our growing dependence on online transactions and the services. In these cases, it may be wise to “spread your eggs,” instead of putting them in one place. Tuck some savings in another account with another bank or make an investment with sound liquidity which you can draw from in case of technical problems with your regular bank. If you’ll find yourself in this scenario, make sure that you are given the appropriate refund or compensation from the erring bank, that there are no extra charges or fees applied in your account, and that your credit standing is not adversely affected. After the recession, one of the most prominent issues facing the banking industry is the multitude of bad debts that it incurred from the “good times.” Before the economic downturn, securing mortgage loans or borrowing money to branch out to new ventures were easily facilitated by the breezy practices employed by most banks. However, the recession changed everything – the banks are now left to intensify their lending processes and tend to their wounds from the substantial credit that they’ve been giving out. In fact, a recent estimate pegged the number of corporations which can pay more than the interest of their loans at 1 out of 10. The case of homeowners is also pretty ugly, with the steady stream of foreclosures haunting many and leaving them homeless. In this economy, it may not be sound or easy to secure a mortgage loan. Instead, diversify your assets, build up your savings, and invest with care to advance your interest in a struggling economy. When you received your credit card or debit card that you applied for with your local bank, did you notice the sticker prompting you to call a certain number either to comply with the activation process or to confirm your receipt? Upon doing so, were you intensely appraised about the dangers of identity theft and strongly urged by a persistent customer care agent to avail of a card protection product? Have you been paying precious, hard-earned money for “peace of mind” on your card transactions and security? If so, you may have already heard of –if not a victim of – the CPP insurance controversy which recently plagued the financial services group. Just between January 2005 and March 2011, CPP is estimated to have sold about 4.4 million card protections and identity theft insurance to bank customers who thought that they are getting their money’s worth in view of the protection that they’ll be getting in case of loss or theft. The scale by which CPP was able to perpetrate the scheme brings highlights one question: how did it pull it off? For years now, CPP has been greatly successful in forging relationships with Britain’s major banking institutions in the sale of its financial services and products. Typically, banks would send the customer’s cards with a sticker or a notice requesting the latter to make a call to a certain number for confirmation or activation of the card. Unknowingly, the customer is actually calling the number of CPP who takes advantage of the situation to preach about the extreme dangers of identity theft and presents worst case scenarios regarding card transactions so that when the agent finally brings up the idea of card insurance, the customer would easily take the bait and shell out money for it. Some banks would even sell the products directly to their customers who believed that the insurance products are offered by the banks themselves. In exchange for the “security”, customers would have to put up an annual card insurance fee of £35 and £84 for identity theft protection. Customers are particularly lured by the prospect of getting an insurance indemnity up to £100,000 and the convenience of one-call card cancellation, among others. However, what the customers do not know is that they can already avail of these inclusions from their banks – they, really, are only shelling out money for an unnecessary product. While customers struggle to come up with their annual payments, CPP amassed approximately £188.3 Million in earnings – a portion of it went to the banks as their introductory fee. Out of the deep delving and the series of investigations commenced since 2011, the Financial Services Authority (FSA) has come to the conclusion that the CPP, indeed, committed violations against the regulations it has implemented to protect customers against unscrupulous and disadvantageous insurance schemes. As a consequence thereof, CPP has been reprimanded a harsh penalty to the tune of £10.5 million which it is bound to pay in installments. There are also ongoing discussions between the financial services group and the FSA pertaining to a sound and practical scheme of compensation for customers who were duped into availing of the insurance. Britain’s major banks may also be facing judgment for their participation in the far-reaching scheme with the possibility of a huge fine – giving a glimmer of hope to the millions of clamoring customers and the potential for long-overdue improvements and reform in the country’s banking, quasi-banking, and retail industries. Frustrating, draining, and exasperating – these are just some of things that would describe the current process of lodging PPI claims with the banks. Despite the billions of pounds that Lloyds, Barclays, TSB, and other major banking institutions are setting aside to answer for the myriad of claims in the wake of the Payment Protection Insurance (PPI) controversy, it does not mean that they are actually paying out valid claims. In fact, recently released statistics pertaining to this brouhaha succinctly shows that an overwhelming number of PPI claims are continually getting refused. If you are one of those hopeful claimants who, after a long wait, finally received a response from the bank which, as it turns out, would only detail out a rejection, you might be quite crushed. Now that your PPI claim has been refused, what’s next? Here are some bits of information that might help you reclaim what is rightfully yours and get the long-overdue refund that you deserve. A rejection from the bank does not necessarily spell the end to your claim. Once you receive the letter, do not get disheartened just yet. Instead, read the letter closely and determine the stated grounds for the refusal. For instance, if the bank claims that you have voluntarily applied to the payment protection claim, you can counter their assertions with documents or records showing the contrary. If there is some uncertainty as to the finality of the bank’s decision, you can write a letter to the bank for reconsideration, citing your basis and reasons why your claim should be granted and requesting for their response within a reasonable period. If the bank will issue a final decision adverse to your claim or with its inaction to your reconsideration letter after the lapse of the period you have clearly indicated, you can proceed to the appeal process. We maybe able to help you still claim back the PPI you believe has been mis-sold even if the bank has refused your claim or you have recived a letter of deadlock. Please contact us with your details using the form on the right of this page and we will get back to you shortly. In the past few months, the periodicals and news channels have prominently featured the heavy intrigue shrouding the country’s major banking institutions. In the midst of its struggle to reclaim stability and recover from the devastation of the recent recession, the banking industry is now facing another hurdle – the business loan mis-selling scandal. This brouhaha not only gave the press a field day but also caused quite a stir among business owners who have fallen victim to this complex scheme initiated by the banking institutions deemed to be trustworthy. With the outbreak of this great controversy, many bank clients found themselves hapless and caught off guard – causing outrageous financial setbacks and even driving others to business closure. But, what really happened? What is business loan mis-selling and how did it cause such an economic turmoil? Business loan mis-selling may seem like Greek to a great share of the public who may not be acquainted with the ins and outs of the banking industry. Simply, this jargon entails a highly-speculative scheme or gamble pandered by the banks to their, mostly small or medium, business customers. Also known as business swap loans or interest rate hedging, it is usually offered to business owners as a derivative product to their loans from the bank which is supposed to shield them from any future increases in the interest rate. Supposedly, in the event of an increase in increase rates, the bank would have to make up for the difference to the advantage of the business owner. On the other hand, a plummeting interest rate would entail an additional liability on the part of the debtors. Oftentimes, these unsuspecting clients are told that the offer is only a formality to protect them from any abrupt increases in their loan amount that may be caused by the turbulent and uncertain economic conditions. Relying on the advice and representation of the banks which were supposed to be their partners in growth, many businesses trustingly acceded to the devious scheme. 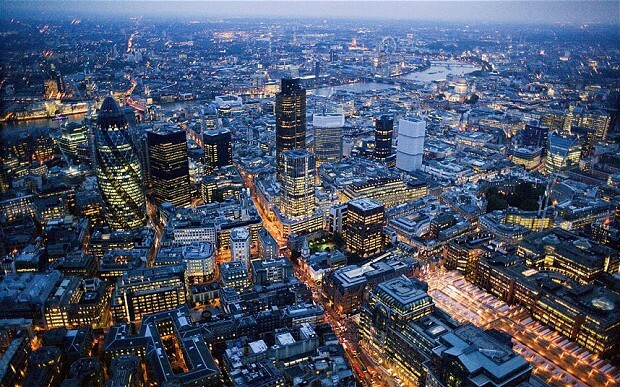 For years, Britain’s banking institutions were able to pull off business loan mis-selling without incident but what finally gave it away was the recession that effectively swept through major business centers. With the advent of the recession and the downfall of businesses in its wake, interest rates went on a downward spiral – shocking many business owners with horrendous fees out of the business loan mis-selling which they initially, and mistakenly, thought is only akin to a fixed mortgage. As a consequence, many businesses were driven to closure due to their liquidity issues and their inability to pay off their debts with the bank. While banks are raking in profits from their misleading scheme, their customers are suffering under the brunt of heavy charges. When the business loan mis-selling was finally discovered, the government commenced an investigation into the entire affair in view of providing compensation for those who were adversely affected by the scheme. Finally, business owners are given a glimmer of hope that their claims may finally be addressed. If there is one good thing that came out of this whole scandal, it may be the long overdue realization by the government that regulations and policies pertaining to the banking industry must be improved and intensified to better protect their clients. Do you feel aggrieved by terms and conditions of your mortgage that you deem quite inequitable? Is your bank taking forever to resolve your clamor on unwarranted charges and fees? Are you disgruntled with the response of an insurance company, a financial services group, a bank or a quasi-bank institution to your complaint? If you have answered in the affirmative, you will be pleased to know that you can resort to another bastion to assert your rights as a business customer and protect your interests before heading to the courts – the Financial Ombudsman. 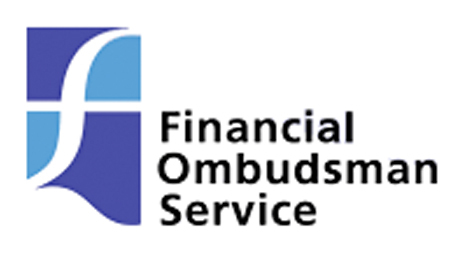 Not everybody may not have know about the Financial Ombudsman Services but this department has been instrumental in sorting out at least 250,000 disputes involving customers who are deeply displeased with the service of the banking industry, financial services groups, and other related businesses. If you are looking for a more expedient, inexpensive, and convenient alternative instead of seeking redress from the country’s justice system, here are some information that you need to know about the Financial Ombudsman and how you can request for their intervention. The Financial Ombudsman is authorized to handle a myriad of financial issues, including those relating to investments, banking, debts and securities, credit cards, pawnbroking, advising, and other financial services and products. This department addresses your issues, primarily, by gathering relevant information from both parties to come up with fact-based, highly-objective decisions. There is no such thing as res judicata or precedence with the Financial Ombudsman because their approach is largely based on a case-to-case basis. The investigation and fact-finding is typically done by phoning or writing the complaining party and the financial institution for the documents and records – thus, you no longer have to spend time and hard-earned money in adversarial, face-to-face conferences with the opposing party. If the Financial Ombudsman will decide against you after a careful assessment of all attending circumstances, you will be appraised why. However, if the decision will be in your favor, the Financial Ombudsman will enforce it by issuing an order against the institution to make the appropriate adjustments or corrections to your account. Since the Financial Ombudsman is not a court of law, you will not be able to cross-examine the institution’s representatives or personally examine company records. This department can only talk to both parties in the hope of coming up with a sound and fair solution – it does not exercise any judicial powers in pursuit of civil or criminal actions. Also, their decisions will not be legally binding – a party can always resort to the courts and pursue a formal action. Once a case is filed in court or if you are seeking for an indemnity in excess of £150,000, the Financial Ombudsman will no longer have any jurisdiction over your complaint. Before you seek the assistance of the Financial Ombudsman, a condition precedent that you should observe is first filing the complaint with the erring financial institution which has eight weeks to address your complaint. But if you are not quite discontented with their action, you have to file your complaint with the Financial Ombudsman within a period of 6 months. You can contact them at phone no. 0300 123 9 123 or through their website, www. financial-ombudsman.org.uk. You will be asked to provide some basic personal details, a summary of the dispute, and your account information. From then on, the accommodating and efficient officer will commence an investigation and come up with a speedy and fair decision. What’s more, the service is free for all customers! Do you have a complaint? Contact them now. There is no doubt that PPI (payment protection insurance) is one of the most talked (and complained) financial products. The long running court case involving the BBA (British Banking Association) and the FSA (Financial Services Authority) was finally settled in the High Court last year and the banks ordered to pay billions in compensation to UK consumers they had mis-sold policies to. An estimated 20 million policies have been mis-sold over the last 10 years and the bill for compensation is expected to top £10 billion. It is not PPI itself that is the problem. It is a genuine financial product that offers peace of mind and protection to customers in the event of illness, redundancy or other unforeseen events. Rather it is the way it has been systematically mis-sold by British banks for their own financial gain. Many people were sold policies that were effectively useless and they would never be able to make a claim against. Credit card PPI differs from other forms as the monthly payments are not fixed. The amount that is paid each month depends on the size of the outstanding credit card balance and is generally charged at a fixed amount per £100. Premiums range in size from around 75p to £1.50 depending on the company the policy was taken out with. Credit card PPI can be very expensive. The typical outstanding balance for credit card customers in the UK is around £4,000. A premium of £1.50 per £100 means £60 in PPI every month and £720 every year. Over a number of years this can soon add up to a significant sum which can be reclaimed if you were mis-sold your policy. This type of policy is designed to protect income rather than a single loan or credit card repayment. In the event of illness or redundancy a fixed amount would be paid each month that could be used for any purpose rather than just meeting loan repayments. The amount paid would depend on the amount of cover required. These two are standard insurance policies designed to meet payments on mortgages and loans. In the event of illness or unemployment the policy would be activated and the payments met. Knowing whether you have a valid claim for compensation can be difficult without the right help. There are a number of different grounds you can claim on and if you are dealing with your bank directly generally involves going through the terms and conditions of your policy with a fine tooth comb. For most people the better option is to use a claims handling company to deal with the hassles of the claims process. Rather than having to deal with lots of paperwork, letters and phone calls all that you need to do to start the claims process is fill out a simple online form. The company will then deal with the bank on your behalf and get you the compensation you are entitled to. The average claim for PPI compensation is in the region of £2-3,000 although there have been some cases where the amount paid out was much higher. The exact value of your claim will depend on a number of factors such as the cost each month of your policy, how long you had it for, type of policy and any other expenses you may be entitled to claim for. One of the easiest ways to work out how much money you may be owed is with an online claims calculator. There are a number of websites that provide these and you simply enter the loan amount, status of loan, start date and the loan provider. While they will not provide you with an exact figure they will give you a rough idea of the potential value of your claim. You can make a claim for all the payments that you made as well as interest on this money. You may also be able to make a claim for additional expenses if the cost of your PPI policy played a part in you defaulting on a loan. You were informed that taking out PPI would improve your chances of being approved for a loan or that it was compulsory to take a loan out. 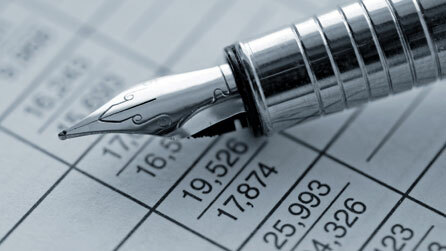 You were not informed that PPI could be obtained from other companies often at a lower cost. You were self-employed, worked less than 16 hours each week or you had already retired. You had a medical condition that would render the policy invalid. You were not aware you were taking out payment protection insurance. Aged under 18 or over 65 when taking out PPI. These are just some of the grounds you can make a claim for compensation on. There are a number of ways that you can start the claims process and get the compensation you are entitled to for your mis-sold PPI policy. You can contact the bank or the company that sold you the policy and ask for a refund or you can use the Financial Ombudsman to make your claim. Many people choose however to use a claims management company to get the compensation they are owed. It is often a lot simpler and less complicated and there is no need to bother with lots of paperwork that is often required. Filling out a quick online form with the basic details of your claim is often all that is needed to start the process. There are a number of online claims handling companies that provide a reputable and efficient service.